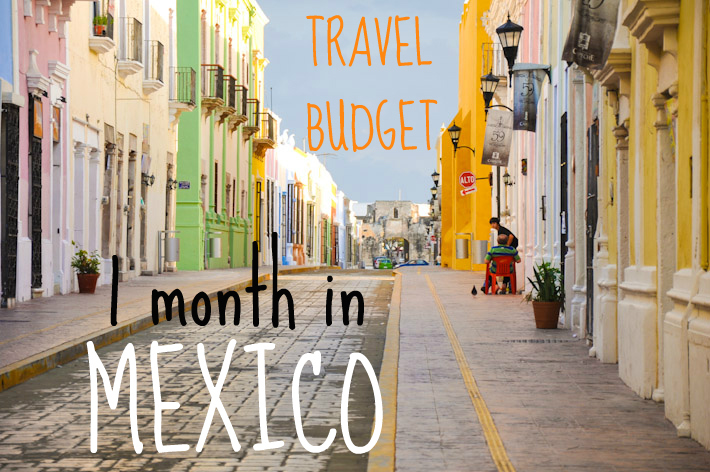 One month in Mexico – how much it cost us..
We spent a month in Mexico and even though 2 of those weeks were during Christmas and New Years, we ended up spending just short of USD 1800 in total for both of us. A large part of this expenditure was hostels/hotels since we were there at peak times. Our target budget was $40/day with room and food included but we mostly went above this since we were there during the holiday season. In Cancun we stayed at Hotel Hacienda de Castilla which was an extremely nice place for the $20/night value. The hotel is in downtown Cancun and while you do have to walk through some shady streets, it’s still centrally located and very accessible. Warning: We ended up paying approximately $22 for our trip from the airport to our hotel since a guy at the airport lied to us about local buses. There ARE local buses running from the airport to the city, if you’re not too tired, try taking one of those. Forward to Playa del Carmen and we stayed at Apart hotel Casa Ejido . It was $34/night but we enjoyed it as we had a kitchen and ended up cooking for ourselves. We stayed only a single night in Tulum and paid $20/night for a private room in Mama`s Home The included breakfast there was delicious! In Campeche we stayed initially in a hostel called Pirate Hostel but after one night there we decided to move to Hotel America Centro – a place right in the center of the city for $50/night – this was during Christmas week so prices were very high. We decided to do an Airbnb in Merida and it ended up costing us $28/night. The room was a bit outside the city center but we had a balcony so we managed to do all our laundry and dry it there. Palenque was a pleasant $18/night in the Jungle of El Pachan. We did spend a fair bit on food here as Don Muchos was one of the only eating places in the area. Excellent food though! From Palenque we headed out to Lagos de Montebello but stopped and paid $12 for a night of pooromatherapy in Comitan. Lagos de Montebello cost us another $18/night for a cabin in the woods. We headed to Tuxtla after this and since it was New Years eve, the rates were pretty high all across the board. We ended up staying at Quality Inn for $53/night. 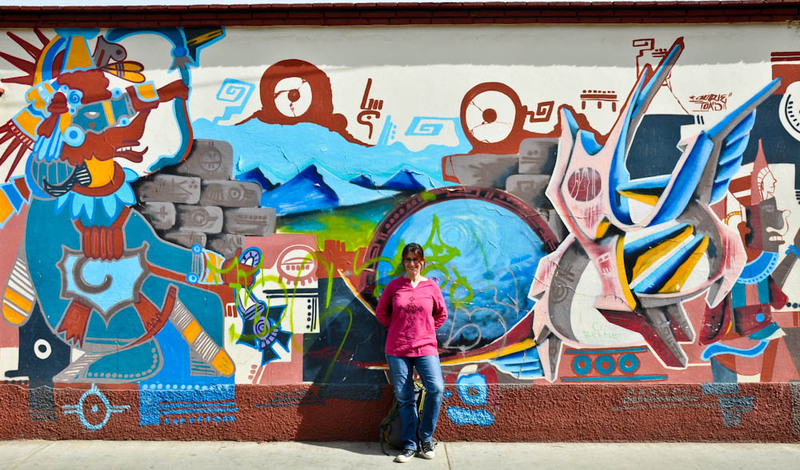 A short pit stop in Oaxaca (a beautiful artistic city) cost us $28/night – again through Airbnb. After this, we moved to Metepec to stay with Rodrigo, one of our friends. We stayed a few days here before we moved to Mexico city. 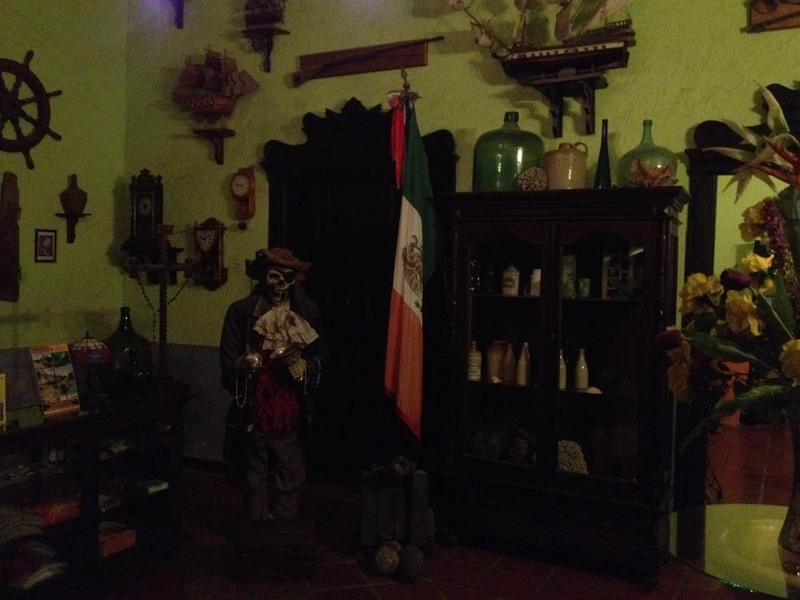 At Mexico city we initially did an Airbnb for 2 nights but after a horrifying experience (read Zara’s post about it) we ended up moving to Hotel San Diego in the city center for $32/night. So those were the places we stayed at. We mostly ate local food which usually ended up costing about $12 per meal for both of us. However depending on where you eat this can be much cheaper. Many of our meals came in at around $5 or so as well. We also cooked at home whenever we had the opportunity to do that. 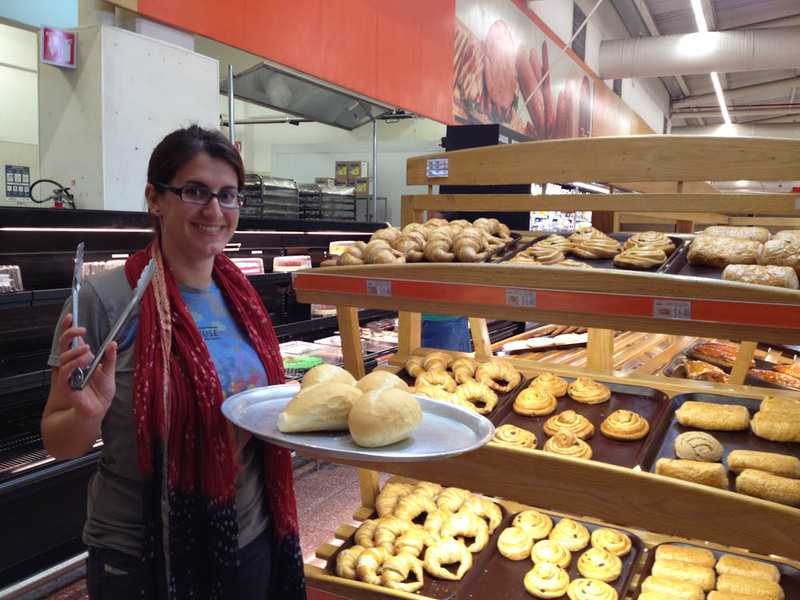 Super markets in Mexico have decent prices, maybe a bit cheaper than Europe and at par with the US. When you’re traveling long term there is always the odd day that you crave something that you order and you know what you’re going to get. McDonalds was very handy in this respect and especially so because of their AMAZING Deluxe Angus burgers! 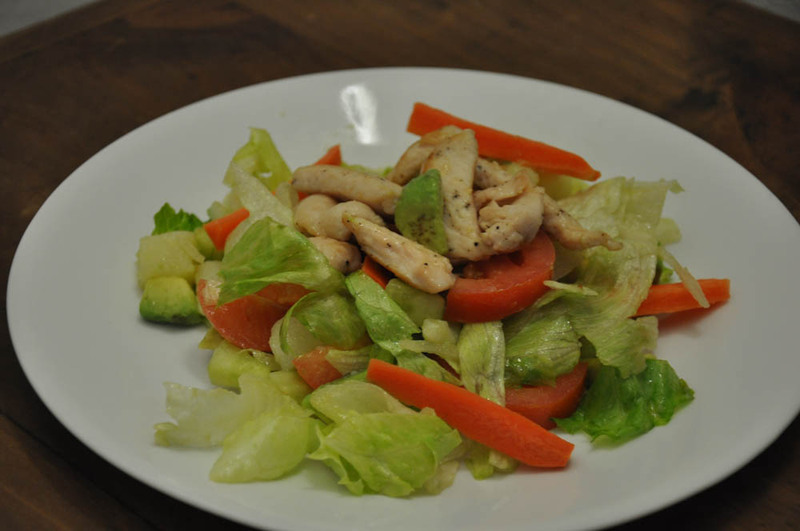 74 pesos (USD 5.5) will buy you a combo meal which includes a drink and fries/salad. We didn’t take any flights in Mexico. There are excellent buses there and you can make it all across the country using them. Bus tickets however aren’t cheap and will cost you anywhere from $10 to $40 per person depending on distance, duration, operator, etc. Also, as Mexico doesn’t have a rail or alternate transport system you should try and buy your tickets at least a day in advance since some routes can get quite full (eg. Oaxaca to Mexico City). The buses are extremely spacious and comfortable (like business class airline seats) and all have a bathroom on board. However, we can’t say as much about the roads since they tend to depend on the state that you’re in. Schedules for ADO buses can be found at the ADO Website. You can often take Colectivos (shared taxis or buses) from place to place. A little basic Spanish will also go a long way though English also works in bigger places. Colectivos are cheaper than taking an ADO bus and sometimes cover routes that ADO buses will not take. The metro rail system in Mexico city is very well priced. For 3 pesos (approx USD 0.20) you can ride from any station to any other station, even with changes in between. We ended up riding the Metro a considerable amount and witnessed all the strange things that happen on the Mexico city metro. Definitely entertaining! 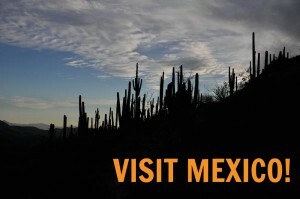 There is a whole range of entrance fees in Mexico. Chichen Itza was the most expensive and cost us around $10 each. Everything else cost us around $3 per entrance. The other fees will vary between these two extremes. We bought a telcel 3G sim card which I plugged into my iPhone. So regardless of wifi availability, we were able to access the Internet in most places. The sim card cost us 150 pesos and we got a 2gb data package on it for another 200 pesos. For more details check my post on Telcel’s 3G performance. So that’s the overall breakdown of our costs. If you have any questions do please ask in the comments. 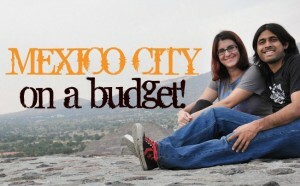 The above costs include everything we spent money on in Mexico except the air tickets to get there. Are you going to Mexico soon? 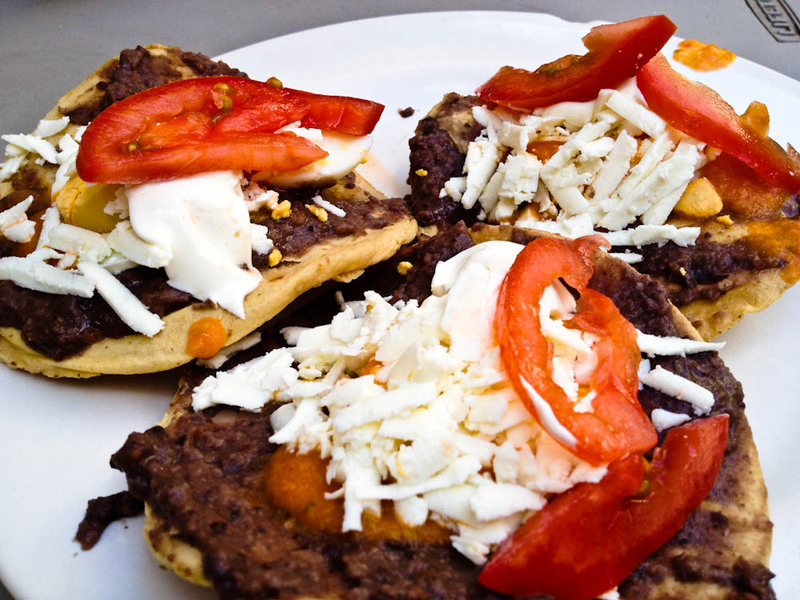 Check our tips to Travel Around Mexico City on a Budget! Way cheaper than just living in London! People tend to think that traveling “long time” like we are doing is a luxury. In part, it is true. But only in part, because the truth is that sometimes, while traveling, you end up spending less than “at home”, especially if you have left and have no expenses like rent, car/petrol, electricity, water, etc… true that most people won’t be earning while traveling, but take the money you spend on an average month living in London and you’ll see how long of a way it goes in some parts of the World, particularly South-east Asia! 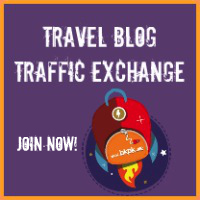 This is a great article, really helpful as we’re just started to plan a month trip their ourselves. Did you find it safe to travel around and where you stayed? There’s always press about Mexico being dangerous and I wondered if you would recommend avoiding any areas? I and my wife are planning a 2-3 week trip in Mexico in early June.I plan to cover Mexico City,Puebla,Oaxaca,Palenque,Merida,Chichen Itza,Tulum,Playa Del Carmen and Isla Mejerues.What places would you recommend from the places that you visited and what would advice to skip given the limited time frame.We want to experience the different aspects of Mexico. Those places sound pretty right for a 2-3 week trip. 3 weeks would be more comfortable than two. Unless you want to relax for a long while at a beach, Isla Mujeres and Cancun would be good for 3 days, Playa del Carmen is a 1 hour bus ride away so you could spend another 2 days there. From there you can head to Tulum, spend another 2-3 days (the ruins there are beautiful!) and then to Chichen Itza, followed by Merida. Do please let me know if you have any more questions! I would be happy to help you out! 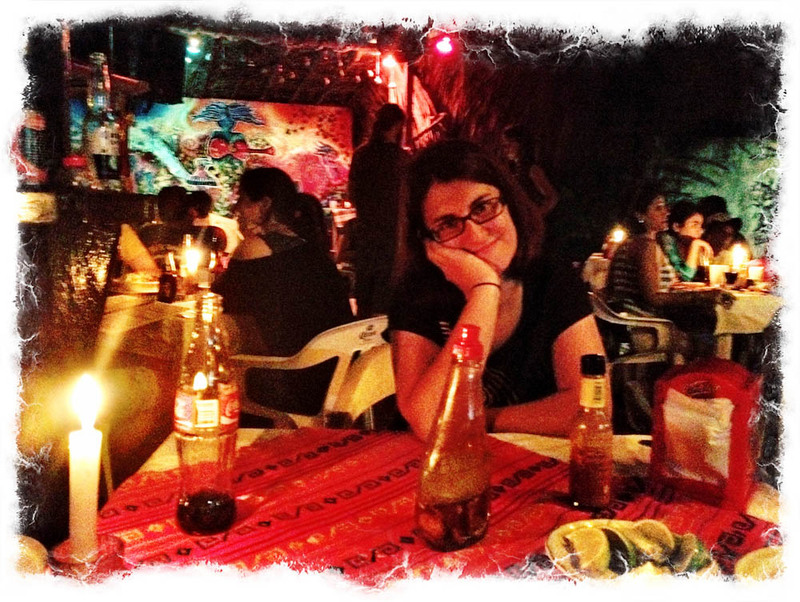 After spending all year in SE Asia, I’m a bit noodled out and am seriously considering Mexico as my next stop. This is very useful – thanks! Well, prepare to get tacoed out :) But hey, Mexico is AWESOME! Definitely cheaper than living in London! Very useful post, it’s good to know exactly how much you are likely to spend somewhere, no matter how much I plan it never works out the same! Glad you found this useful, Isabel! This is obviously just a reference, because it all depends on a person’s “travel style”. 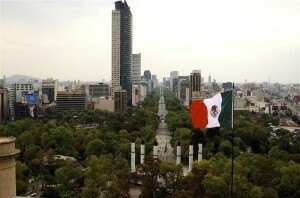 But over all, with a little bit of care, Mexico is a country that offers incredible value for money to travelers! We surely made the post out of it and plan to be back! Excellent! 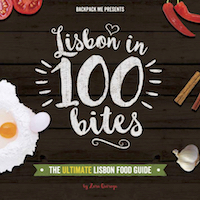 I love these kinds of posts; super useful, but also very much wanderlust-inducing! We’re really looking forward to Mexico, though don’t know exactly when we’ll get there! We spent a similar amount travelling in Bolivia recently, which looking back is actually a bit surprising considering that you did this over Christmas/New Year, and we were in Bolivia in May/June, when there are no holidays…hmm. 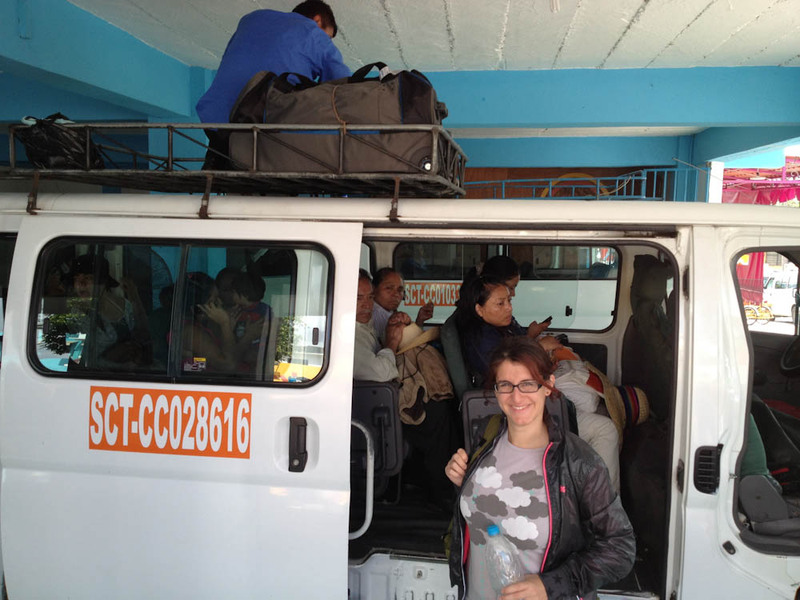 I think we spent even less in Bolivia – in general, we found the prices to be even more affordable. In fact, Bolivia must have been one of the most affordable countries we spent some time at during our Latin America trip. Ecuador would have been up close, if it wasn’t for Galapagos Islands. Xmas and New Years obviously did impact the expenses in Mexico, at least for accommodation, but we did a lot of Airbnb and small guesthouses and there are so many options available, that I don’t think it affected the budget too much over all. I’m from Australia, and just after a bit of advice. My boyfriend and I are heading over to Mexico this December for a month. We are flying into Mexico City and out of Cancun (3rd of Jan). We are a bit worried about travelling the Yucatan peninsula over the Christmas and New Years period because we have heard this is the busiest and most expensive time. We will be travelling on a budget so our concerns are about accommodation availability and cost. Did you find it difficult to find accommodation, or had you booked in advance? Also, did you find other things such as buses and tours were more expensive at those times as well?? We had only booked 3 nights in Cancun, our initial arrival place. We book always the previous night or same day, online and didn’t have difficulty finding available places. 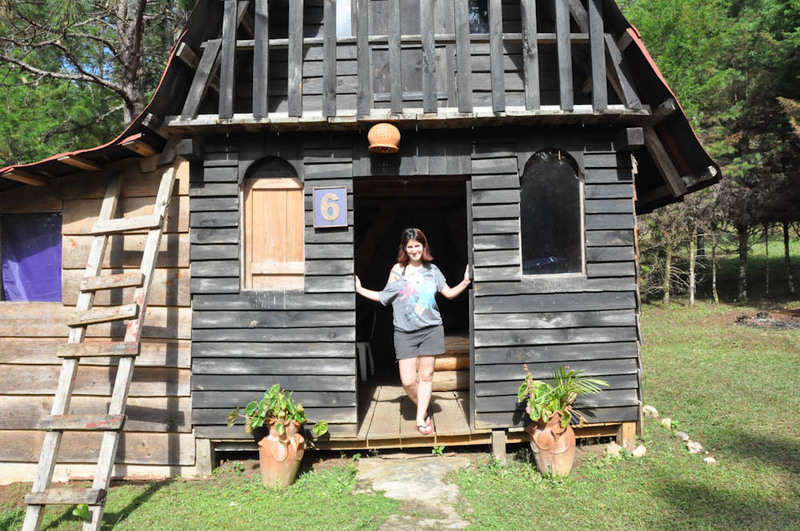 But we also did some Airbnb stays, not only hostels/hotels. Things do become a bit more expensive over that time of the year, true, but I think there is a lot of offer so, unless it’s ridiculously busy, you’ll be able to find places to stay at “moderate” prices. How can you use the words “only” and then the figure following it is well over $1,000?? Sure at one point in my career I could have said a thing like that!